Human Rights Watch calls for impartial and transparent probe of the death of South African Andre Hanekom in Mozambican custody. But Mozambique has already conducted an autopsy on its own, making the truth harder to uncover. 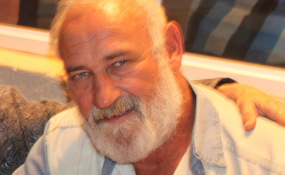 Human Rights Watch (HRW) has called on Mozambican authorities to ensure an impartial and transparent investigation of the "suspicious" death in Mozambican police custody of South African businessman Andre Hanekom last week. But the chances of an independent probe of have already begun to fade as Mozambique authorities performed an autopsy on Hanekom's body without the presence of a family member or representative. Hanekom was being held for supposedly jihadist activities. He died on 23 January in Pemba provincial hospital in Mozambique's northernmost province, Cabo Delgado. His widow, Francis, called for an independent autopsy immediately following his death because she suspected he had been poisoned. A statement by HRW, the advocacy NGO, on Thursday, 31 January reveals the suspicious circumstances of Hanekom's death as well as a clear violation by Mozambican authorities of their own laws in the way he was treated.